Along with a diverse group of musicians, artists and celebrities, Rachel has joined the call to clean up a massive mercury contamination that has plagued the Grassy Narrows First Nation community in northern Ontario, Canada, for generations. 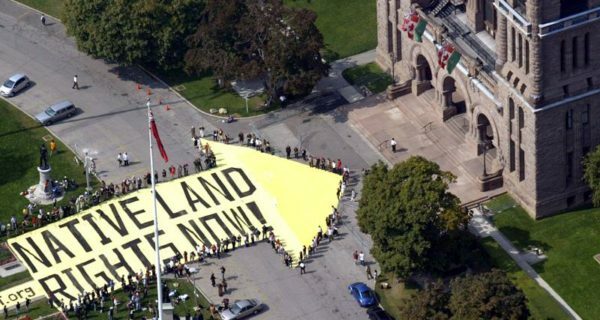 The campaign, asking people to sign the open letter “We Stand With Grassy Narrows”, is an initiative by the David Suzuki Foundation, a foundation that aims to conserve the Canadian environment and find solutions that will create a sustainable country. Other celebrities to have signed the letter are Stephen Lewis, Wade Davis, Margaret Atwood, Ed Begley Jr., Graeme Gibson, Naomi Klein, Jane Fonda and more. Between 1962 and 1970, a pulp and paper mill, near the English-Wabigoon River System, dumped over 9,000 kilograms of mercury into the river, poisoning fish and other aquatic life forms. The mill was situated upstream from several First Nations communities, including Grassy Narrows. Residents of the small town are still suffering from mercury contamination.